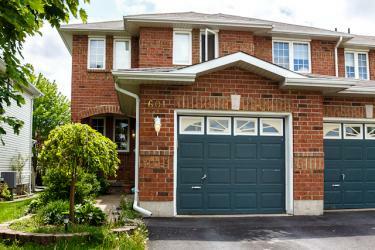 attractive, executive style freehold end unit town home in desirable west end location. main floor offers hardwood and ceramic along with ceramic flooring in both bathrooms and updated fixtures throughout. upstairs, 3 generous bedrooms including an oversized master with his/hers closets. call sharon today to arrange your private viewing.